I just makes you weep. The same thing is going on at my local teaching hospital here in Milwaukee. It's a travesty and I get very stressed trying to constantly debunk this stuff--which becomes ever harder when formerly reputable institutions decide to go "integrative". It's a marketing move and speaks as much to our profit motive obsession being extended to every endeavor, as to bad medicine. I'm amazed that he actually gives the mystic "QI" explanation openly. 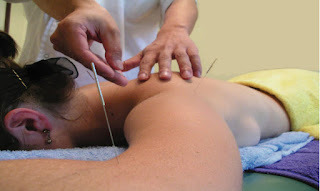 When I've had encounters with acupuncture enthusiasts, most weren't quite so brazen as to think others would be positively impressed with an explanation from ancient Chinese mythology and came up with a more plausible sounding pseudo-scientific one. Just how prevalent is the influence of money from big corporations in oncology and oncology research?